We could only quote for jobs using the presses we had on site. This meant that we were not always suited for every job or weren’t the most cost effective option, but we still quoted. I knew customers would often be better off using others printers for both quality and cost savings, so as an employee, it was tough. With many clients and commitments, the printer had to balance priorities and sometimes things took precedence. This meant that deliveries were often missed, as there was just not enough capacity, and compromises always had to be made which impacted the end product. There always seemed to be a high turnover of staff, with different estimators and customer services changing all the time. This lack of consistency started to effect our focus and targets were harder to reach as there was a constant treadmill of numbers and margins. As you can see, customers’ needs were always low on the list of priorities of these printers, which was crazy in my mind. I have always been relationship driven and this, for me, just didn’t deliver the service I wanted to. That’s why in 2002 I created Xpedient Print. As a Print Management Company, my only commitment now is to my clients; delivering the best quality at cost-effective prices, on time and with exceptional service. In addition to that, by building relationships and understanding our clients needs, we now also advise and work with clients to ensure their print delivers the results they want. Print shouldn’t be seen as a commodity item that just costs money; it’s an investment that delivers results, builds credibility and gets your business seen in the right light. We now have the time and desire to ensure this happens and that’s what makes us different to a printer. Discussion what print do you need and what do you want it to do? Assessment we assess and look for ways that we can produce it to deliver high quality at a cost effective price. To do this, we work with our trusted suppliers to find the right printer for each job. Delivery by finding the right printer, this ensures efficient production, on-time delivery, and a product of top quality at the right price. Our purchasing power means that we get more aggressive prices for you, so often you will pay less going through us than going direct. This same power also means that we don’t get bumped for bigger jobs so deliveries are on time. By working with us, you also won’t be dealing with sales reps anymore that may move to other printers (for a higher salary) and tell you that the new printer is now the best thing since sliced bread. Whatever your printing needs, wherever the work is being done, you will have one point of contact, providing you with consistency and confidence. 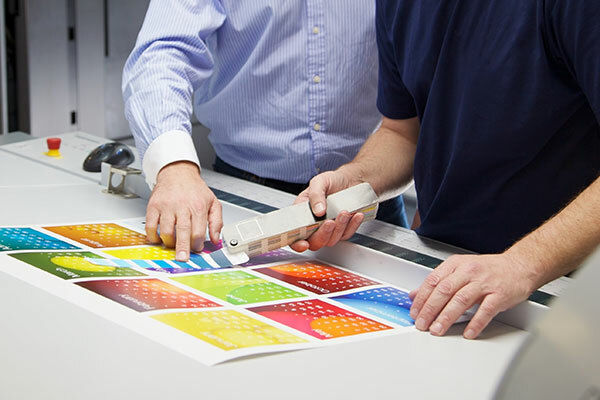 We ensure you get the best quality print cost effectively, that delivers the results you want. That’s why it’s always about YOU and not about us.